First things first, I have to give credit where it’s due so I am letting you know now that this is NOT my recipe. I found it on Google, but it actually was created by the Food Network (see link below). I was searching for a healthier muffin recipe that I could prepare and eat on-the-go on mornings that I don’t have time to prepare breakfast (i.e. mornings that I wake up at 6:30 — Geez! Culinary school is rough!). Omit the pineapple, or, if you choose to keep it, puree it before adding it to the mix. If you do choose to omit pineapple, try substituting it with a cup of mashed bananas — for some reason I think this would taste excellent! Carrots and bananas, why not!? Add 1 cup of skim milk and omit 1/3 cup vegetable oil — a substitution I am planning to try. I recommend using a spring-action ice cream scoop for uniform muffins. 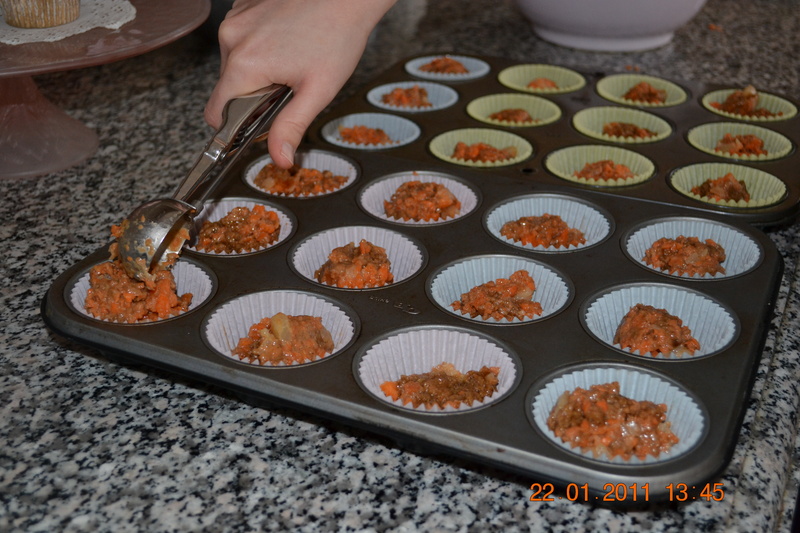 Preheat the oven to 350 degrees F. Line twenty-four 1/2-cup muffin cups with paper muffin liners. Whisk flours with the brown sugar, wheat germ, cinnamon, baking powder, baking soda, and salt in a medium bowl. In another medium bowl lightly whisk the egg, then whisk in the vegetable oil, and vanilla extract. Quickly and lightly fold the wet ingredients into the dry ingredients with a rubber spatula. 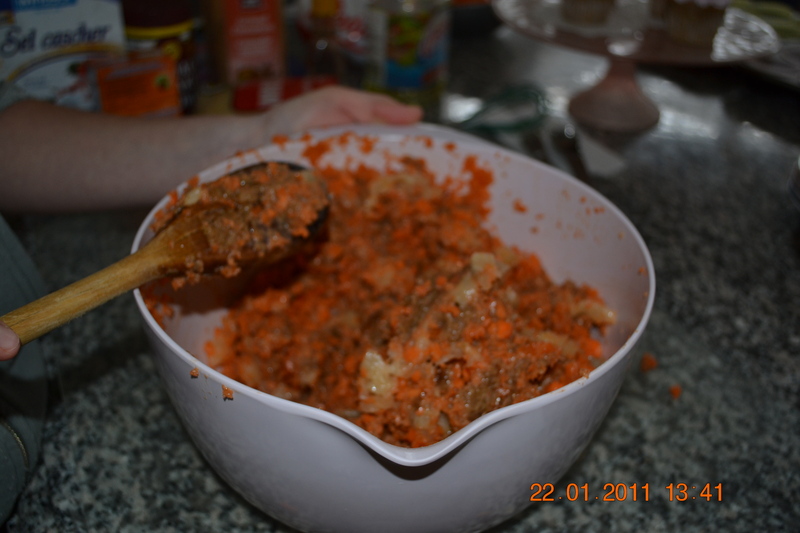 Stir in the carrots and pineapple just until evenly moist; the batter will be very thick. Divide batter evenly among the muffin cups. Bake until golden and a toothpick inserted in the centers comes out clean, about 30 minutes. Turn muffins out of the tins and cool on a rack. Serve warm. 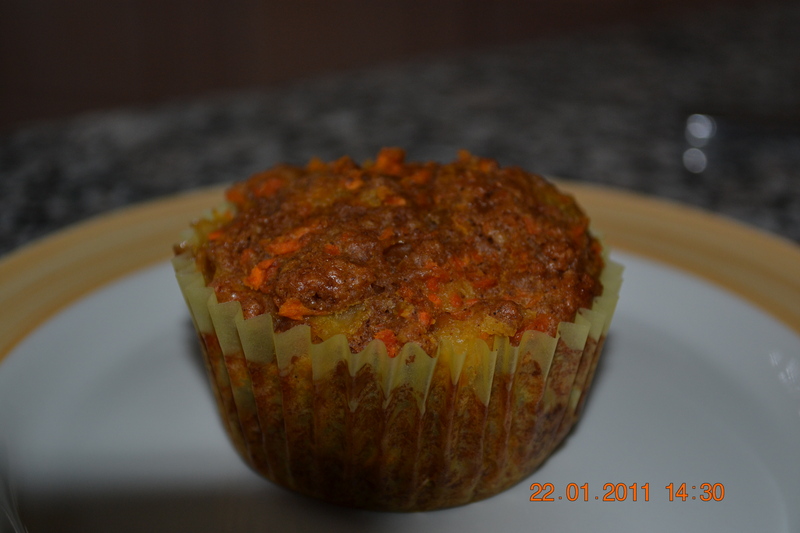 Makes 24 tasty and nutritious muffins! If you try out the recipe make sure to let me know what you think of it!